Housing supply has always been tight in Macao, the world's most densely populated city. With 580,000 inhabitants lived in an area of 30 square kilometre, or approximately 19,000 people per square kilometre concentrated in the crowded Macao peninsula. Macao, like Hong Kong, is a Special Administrative Region of China, located just off the coast of the Guangdong province of China, and has coastline along the South China Sea. Property prices are therefore very high, making renting and owning a home difficult for many people. For example, a 1,000 sq ft apartment at Magnificent Court (map) in Dynasty District (Taipo) cost MOP$8 Million Pataca de Macau (USD$1 Million) or approximately MOP$16,000 Pataca de Macau (USD$2,500) per month to rent. These days there are few apartments in Macao that cost less than One Million Pataca de Macau (USD 125,000) each. The average price of private residential units are around MOP$50,000 Pataca de Macau per square metre (USD$600 psf), an eight folds leap from the 2002 figure of MOP$6,000 Pataca de Macau per square metre (USD$70 psf). In Macau, there are a small number, less than 15% of the total land, of freehold properties. These are typically found in the older parts of Macau. The rest is leasehold land held under a Government Lease for 25 years. The terms of the Government Lease are subject to automatic and successive renewals for 10 year periods. 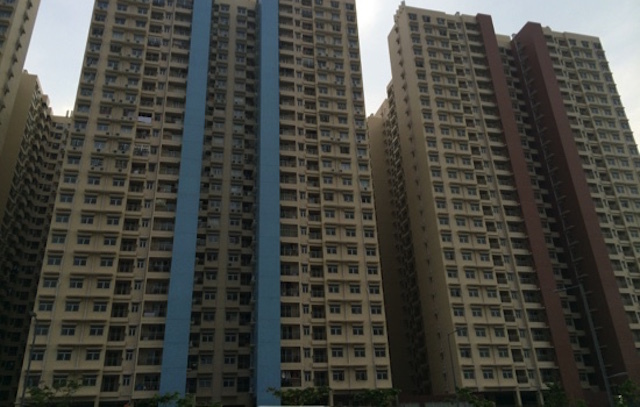 To help low-income groups, the Portuguese Government of Macau (since 1928) has built public (partly-subsidised) housing, both for rental and for sale. In the 1960s, 7-storey high rise blocks in Bairro Economico da Taipa (map) were constructed. As of 2012, nearly 90,000 or one-sixth (17%) of the population, live in 30,000 such units. In 2007, the average sizes of the T1 single-bedroom and T3 triple-bedroom bedroom home-ownership scheme public housing units were 300 square feet. and 500 square feet. respectively. The T3 units sells for MOP$300,000 Pataca de Macau (USD$38,000) each. Which is about MOP$6500 per square metre (USD$75 psf). They are priced at a fraction of what the current market charges for private apartments. April 2014: On the last application day for the second phase of the affordable housing units draw launched in December 2013, the Housing Bureau (IH) has received 42,000 application forms for this phase of the draw. The 1,900 affordable housing units available this phase include T1, T2 and T3 units from eight affordable housing buildings in the Macau Peninsula,Taipa and Coloane, namely Habitacao Social Da Ilha Verde, Edificio Cheng Tou, Edificio Fai Ieng, Edificio Cheng I, Edificio Iat Fai, Edificio Koi Nga, Edificio Ip Heng and Edificio Son On. According to the Bureau, there are 854 units of T1 (one-bedroom) units, 888 units of T2 (two-bedroom) units and 158 units of T3 (three-bedroom) units. There is a 1-in-22 chance of winning the housing lottery for the applicants. The up-and-coming home-ownership scheme public housing estates are: A four 26-storey towers with 880 dwelling units along Rua da Tranquilidade do Hipodromo (map), near the border crossing with China. The construction, scheduled for completed by 2013, costs over MOP$400million Pataca de Macau or an average MOP$450,000 Pataca de Macau (USD 55,000) to build one unit. The units range from T1 (single-bedroom) with floor area of 300 square feet to T3 (triple-bedrooms) with floor area of 650 square feet. Six blocks of 46-48 storeys along Estrada Coronel Nicolau de Mesquita (Bairro Social do TN27 complex - map) in Edifício Do Lago, Taipa. The estimated MOP$1.45billion Pataca de Macau-project is due to be completed by 2012 and ready for selection by Mid-2012. Over 70% of the 2,703 units will be two-room apartments. Another block in an old social housing estate, Habitacoo Social na Bairro da Ilha Verde along Avenida do Conselheiro Borja (map) in Taipa will provide 500 dwelling units. Construction work started in 2011. 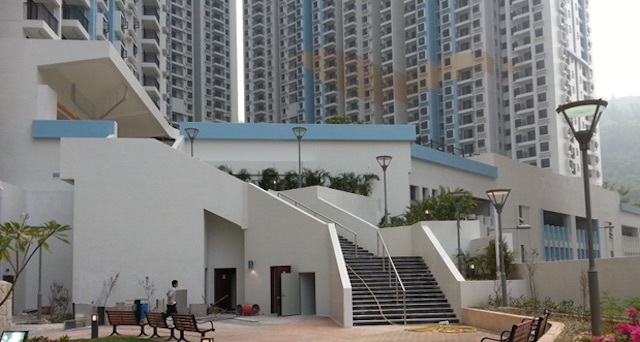 With 9,000 dwelling units (DU) on a 20 Hectares (ha) plot, Seac Pai Van Estate in Coloane (map) is Macau's biggest public housing complex with a residential density of about 450 DU/ha. The estate is located about 2 kilometers from Venetian Macao Casino and Cotai Casino. The prices for such public housing scheme apartments starts from MOP$560,000 Pataca de Macau for a T1 (single-bedroom unit) about 400 square feet, MOP$740,000 Pataca de Macau for a T2 (double-bedroom unit) about 500 square feet, and MOP$960,000 Pataca de Macau for a T3 (triple-bedroom unit) about 650 square feet. The price for each unit was set “according to many factors including the purchasing power of the families, the location, the unit floor and area. The average price per square metre is MOP$15,000 Pataca de Macau (USD$175 psf). Prices will be updated every six months according to inflation. Macau has boomed since opening its casino market in 2002, attracting investors like Las Vegas Sand Corp. and Wynn Resort Ltd. Benefiting from the economic prosperity of the city, there is no doubt that the income of the residents has increased at the same time, yet under-rated with the growth of the housing price.